In a world of ever-increasing international exchange, developing education and research that crosses different fields in a cross-sectoral manner is crucial for ensuring that education and research is open, dynamic and diverse. The academic level of mathematics and physics in Japan is extremely high by global standards, and Japan has turned out numerous Nobel Prize and Fields Medal winners. However, individual fields tend to be isolated as there is a lack of exchange and relatively few connections with applicable fields. This is perhaps due to a Japanese tradition of placing a heavy emphasis on the notion of craftsmanship. For example, calculus was developed by Newton and Leibniz in the 17th century and contributed to the development of the machine civilization in Europe and became a driving force behind the industrial revolution. In Japan, meanwhile, wasan (Japanese mathematics) was developed by Seki Takakazu over roughly the same period, but did not make the same kind of contributions to the wider world. This type of isolated research has tended to persist even to the present day. Therefore, since 2009, with the backing of the Japan Society for the Promotion of Science and the German Research Foundation (DFG), Waseda University and Darmstadt University of Technology have been running a joint program in education and research in mathematical fluid dynamics for doctoral students. 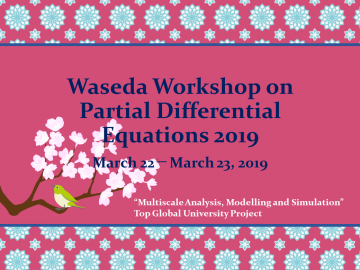 Waseda’s main goal in this partnership is to learn about the tradition of expanding mathematical research beyond the university by engaging in exchanges with related fields in Germany. This joint Japan-Germany program has not only produced international education and research accomplishments, but such education and research has expanded into the creation of joint Japanese-German research groups in fields such as fluid mechanics and fluid-based chemical reactions. Needless to say, Waseda has long been proud of its international research into mathematical fluid dynamics. Our aim is to expand such efforts further through the Top Global University Project (TGUP) and develop education and research that makes physics and mathematics the driving force of civilization. Specifically, Waseda University’s physics and mathematics departments are strong in fields such as quantum　mechanics, biophysics, nonlinear dispersive equation research, mathematical fluid dynamics, computer mathematics with assured accuracy, and fluid machinery. We therefore intend to set up education and research systems for doctoral programs that will produce human resources capable of performing mathematically rigorous modelling based on physics, basic engineering, and simulations based on numerical analyses, enabling them to contribute to science and technology. We will work in partnership with partner universities and research institutions worldwide to create our curriculum and have lectures given not only by Waseda academics but also by researchers invited from partner universities around the world. This will ensure that education and research is not isolated within Waseda University. Presently, the university’s doctoral programs do not use a credit-based system. 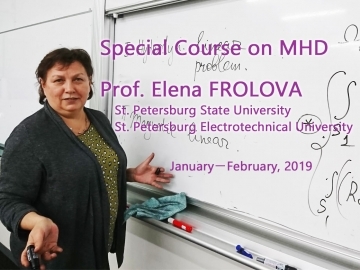 However, going forward, not only will all lectures use the credit system, but mathematics, modelling, and numerical analysis will be compulsory for graduation and students who complete these courses will earn qualification equivalent to a doctoral thesis. Credits will be transferable to partner universities, with academics at partner universities working with us to provide guidance for students on the writing of research theses. In order to achieve this type of education and research, we will create an international and cross-sectoral education and research system enabling all universities to carry out their education and research in partnership. This will not only enable Waseda students to study abroad at partner universities, but will also allow Waseda to accept students and researchers from partner universities. 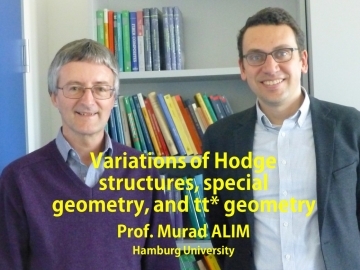 We will create cooperative frameworks with various universities such as Darmstadt University of Technology (Germany) for mathematics, mechanical science and applied sciences, with the University of Pittsburgh (United States) for biomathematics and bio fluid dynamics, and with the University of Pisa and the University of Bari (Italy) for mathematics, quantum mechanics and quantum chemistry. Our long-term goal, based on the international and cross-sectoral education and research framework, is to educate high-caliber researchers and entrepreneurs with high standards of consistency and computation skill, who are capable of contributing towards science, technology, and ultimately, the good of people around the world. Waseda’s Faculty of Science and Engineering was Japan’s first science department and is based on Okuma Shigenobu’s vision of fusing science with engineering. We will continue to overcome the barriers between engineering and science into the future.